Definition: The Human Resource Planning is the process of finding the right number of people for the right kind of a job, at a right time and the right place, by forecasting the organization’s demand for and supply of human resources in the near future. In other words, Human Resource Planning is responsible for arranging the right people for the right job from all the available sources. And not only this, it also anticipates the vacancy arising due to the promotion, transfer, retirement, termination, of an employee and thus, plans for the manpower accordingly. Immediate filling of vacancies reduces the idle time caused due to an employee turnover, and hence the functioning of the business process remains unaffected. This planning is generally done to enable an organization to move from the current manpower position to the desired manpower position. 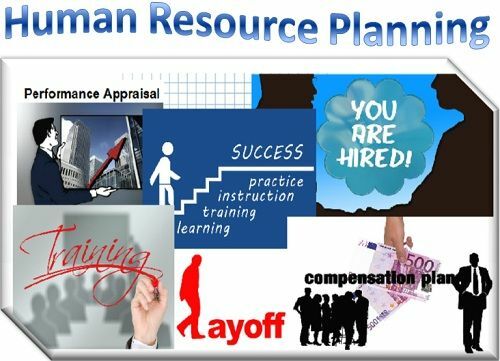 The human resource planning begins with the enterprise’s estimation for the manpower requirement and then sources are found from where this need can be fulfilled. The Human Resource Planning should not focus only on filling the vacant positions, but should emphasize on hiring the right person for the right job. It also focuses on developing the skills of an existing employee through an interactive training program, with the intention to make them well equipped with the skills required in the future, for the attainment of the organization’s objectives.